If you have read the previous chapter of the TypeScript Tutorial series, you have already learned how to install Node.js and TypeScript and might have already installed those. Now, it's the time to go a step further to learn how to write code in TpeScript. In this article, we will learn how to create a simple HelloWorld application, compile it and run it. Continue reading to know more. 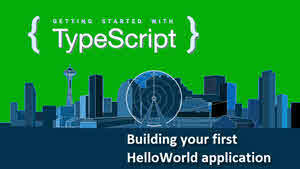 You can use Notepad or any other text editor to write TypeScript code. Here, in this series of TypeScript Tutorial, we will be using Visual Studio Code editor to demonstrate the each one of the code snippet. You can download Visual Studio Code directly from Microsoft site. Here is the link: https://code.visualstudio.com/Download. Once downloaded, double-click on the installer file and follow the step-by-step instructions to install the Visual Studio Code in your system. Make sure that, you have successfully installed the Node.js and TypeScript in your development environment. Give the file a name, with an extension .ts. Let's name it as HelloWorld.ts. Visual Studio Code will automatically recognize it as TypeScript file, based on the file extension provided. Now open a console window (cmd.exe) and navigate to the path where you have created the HelloWorld.ts file. 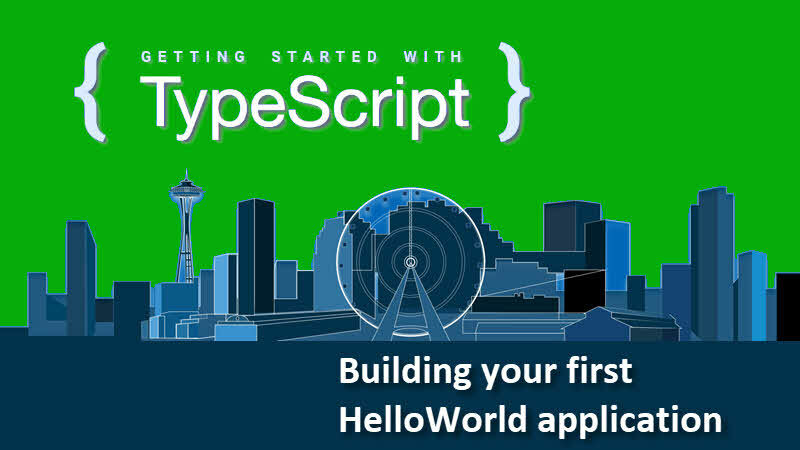 If you have come this far, it means that you liked what you are reading (Building your first Hello TypeScript application -- TypeScript Tutorial for beginners).